George Baribeau, the man, the myth, the legend. His journey on Earth started in Cornell, Wisconsin with a long stop in Denver, Colorado and ended in Mesa, Arizona. 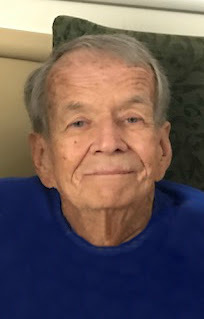 He passed away the evening of Friday, May 4, 2018, surrounded by his loved ones. Although small in stature at his passing, he was truly the strongest man we have ever known. He showed his children what a real man and gentle man was. George was, first and foremost, an amazing family man. He was a great father to 3 children, Tom, Mary, and Bo, and he was a wonderful husband of 40 years to Karen. He is called “Pop Pop” by his 5 grandchildren that he loved spending time reading, snuggling, and laughing with. George was kind to everyone he met. He never complained a day in his life or said something mean about another person, unless you were talking politics with him. His love of history and adventure took him and his family around the world on numerous excursions. He was proud to support his family with a job he enjoyed for 35 years. George was with us for 11 years longer than expected because of his older brother’s kind act of selflessness. Tom donated one of his kidneys to George in 2007. George will be laid to rest this Saturday, May 12, 2018. A viewing will be from 8:30 to 9:30am at Bunker’s Garden Chapel, 33 North Centennial Way, Mesa, Arizona 85201. His burial will then follow at Queen of Heaven Catholic Cemetery, 1562 East Baseline Road, Mesa, Arizona 85204, at 10:00am. There will also be a celebration of George’s life later this summer at a time to be determined by the family. What a wonderful, loving and spot on tribute to you dad….a kind, loving, and devoted family man. I am honored to have known him….and the family…for so many years. Sending my thoughts and prayers to each of you. I am so very sorry for your loss. I will be praying for your family. We are so sorry to learn of the passing of George. He was a very good man and very devoted to his family. He will be greatly missed. Our condolences to Karen and his children. May he rest in peace. A man so Great will always Be! Hold those memories close to your heart. Hugs and prayers to you all. I’m so sorry for your loss. May God draw near and comfort your family. I am so sorry for your loss. I remember what a fun, loving man George was and it is an honor to have known him. May he rest in peace and may his memories warm your hearts and give you peace. Rest in Peace George. It was wonderful knowing you.You always made everyone smile. You will be greatly missed..Prayers to you Karen Tom, Mary & Bo. So sorry for your loss. May you find peace in memories of the heart. George was always a pleasure to work with! I worked with George at StorageTek. He truely was one of the kindest men I’ve ever know. May you RIP George! My condolences to his family…we always knew how much you meant to him. A Hero !!! Unconditional love to everyone in his life. He always lifted me up and believed in me. I loved him so much. I will never be able to watch a John Wayne movie again without thinking of him. Now Pilgrim rest and give my mom heck and not too many games with Auntie. I am blessed you were my Uncle. I’m glad you got time with your new pup. You were the champion fighter and will be missed by so many. I love you ! !